An expanding North East business technology provider has called in investment from the Finance For Business North East Growth Fund to help it double both its workforce and turnover within the next year. Activ Telecom provides comprehensive telecoms and technology solutions to small and medium-sized businesses both across and outside the North East, and works with the communications industry’s leading providers to develop individual solutions to clients’ business technology needs. The independent Newcastle-based business originally focused on mobile communications, but has widened the range of services it provides in the last three years to include fixed line calls and lines, broadband, hardware provision and IT infrastructure supply, installation and maintenance. 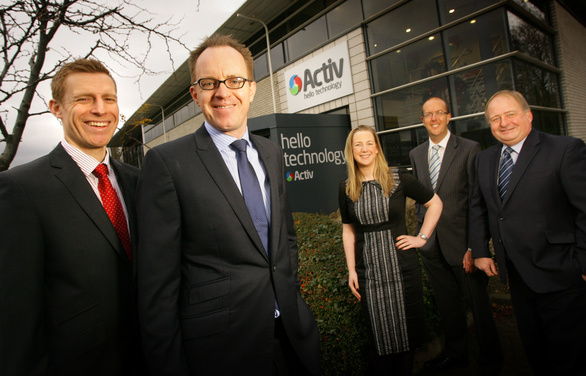 To help support the firm’s service expansion plans, Activ has now secured substantial six-figure investment from regional fund management firm NEL Fund Managers, which administers the Growth Fund, with support on the deal being provided by long-term business advisors UNW and law firm Muckle LLP. The Activ management team are aiming to double the firm’s current workforce of 26 within the next year on the back of the company’s planned expansion, as well as to increase its turnover by the same amount over the same period. Founded by experienced industry professionals Ian Gillespie and Michael Fitzpatrick, Activ is already one of the region’s leading independent technology providers. Well-known North East names among the firm’s customer base include Port Of Tyne, Northumbrian Water, Benfield Motor Group and Ringtons Tea. Managing director Michael Fitzpatrick says: “Our success has been based on building long-term relationships with clients, identifying which technologies they can deploy to meet their particular needs and providing them with tailored solutions that lead to direct business benefits. 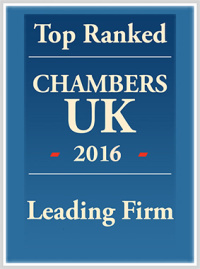 “Our independent and impartial approach means we can choose the best products and services available from right across the market, and offering a single point of contact for all the different technologies we provide makes managing them far easier and more cost-effective for our clients. “Activ was originally focused on telephony, but technology operations have performed increasingly well over the last couple of years and we see a great deal of potential in adding further resources to that side of the business. The advent of new technologies and in particular, cloud-based solutions, offer businesses greater flexibility to upgrade their systems, often without the need for expensive capital expenditure. “We’re confident that doubling both our workforce and our annual turnover by this time next year are realistic targets, and believe we now have the resources in place that will help us achieve these goals. UNW corporate finance senior manager Mark Simpson says: “Activ is recognised in the market as being expert in mobile communications but the management team has recognised the trends in business technology and are ensuring the company has the necessary sales force and infrastructure in place to sell all these other technology products to their existing and new customers. For more information, help or advice on investments please contact Craig Swinhoe on 0191 211 7945.